CASNR Cares The one place for students, parents, faculty and staff to start when there are questions or concerns. Learn more. CASNR offers a variety of ways to be involved in your education beyond the classroom walls. You may choose to perform research alongside our world-class faculty, build your entrepreneurial dreams, connect with like-minded students, or play a little ultimate frisbee. 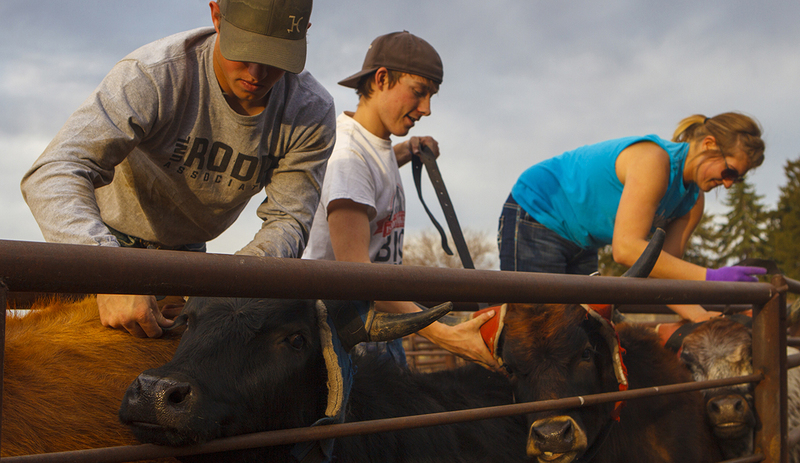 At UNL and CASNR, we have experiences for all those interests. Nicole Smith, CASNR's Student Development Coordinator, sends out a weekly email detailing a variety of events, activities, and deadlines for CASNR students. Make sure to check that out every week. We offer a variety of clubs specialized to the career and recreational interests of our students. Contact Nicole Smith for more information. NvolveU is a web-based Student Organization database and tool. Recognized Student Organizations (RSOs) can advertise events, communicate with members through roster management, complete direct reservations and much more. Important contributions come from CASNR every year to improve agriculture, food industries, environment, well-being of families and community development. You can find research opportunities in a variety of areas through UCARE or the Agricultural Research Division.